A logo sign outside of a Toys 'R' Us retail store in Frederick, Maryland on September 23, 2017. 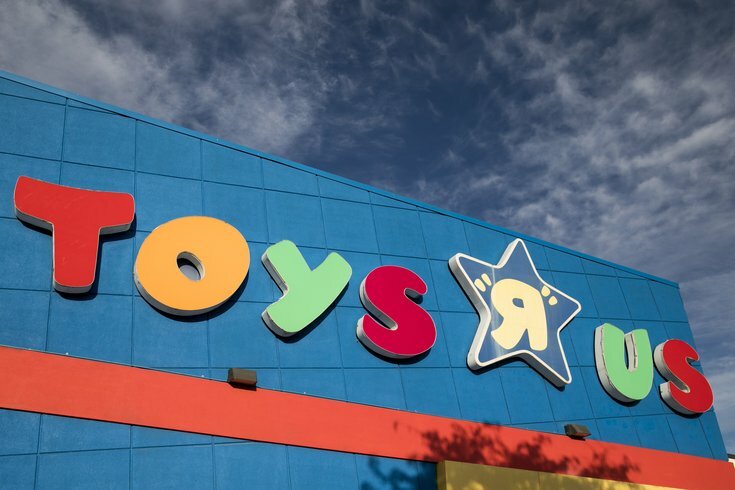 The remaining Toys R Us stores will finally close their doors by this Friday, putting an end to the 70-year retail institution. How do professional athletes get their health insurance? In the Greater Philadelphia Area, the last stores standing include the South Philly location at Oregon Avenue and Third Street, as well as the store in the King of Prussia Mall. A total of 28 stores are still hanging on across Pennsylvania, including those nearby in Exton, Media and Springfield, Delaware County. In New Jersey, the chain's home state, this week's closures means saying goodbye to 22 remaining locations, including shops in Cherry Hill, Mays Landing and Vineland. Delaware has one location in Newark. The Toys R Us 650K SF Corporate Office Liquidation Sale in North Jersey has started. Everything must go. Including Geoffrey. The final closures have been a long time coming for the once-bustling toy chain. Last September, the company faced a reported $5 billion in debt from a 2005 leveraged buyout and filed for Chapter 11 bankruptcy. In the meantime, services rendered by bankers, lawyers and other consultants during the transition totaled roughly $470 million plus interest. Other chains will attempt to capitalize by rising up from Toys R Us building-vacancy ashes. New Jersey-based Party City announced Monday that it will open 50 pop-up toy stores alongside its pop-up Halloween shops this fall. The temporary stores, aptly named "Toy City," will remain open through the holiday season. It's not yet clear which Party City locations will get the toy pop-ups, but the company announced it's headed for "optimal" markets. There about 20 Party City stores in the Greater Philadelphia Area. Analysts posit that other chains such as Walmart, Target, Barnes & Noble and Five Below may also benefit from the lack of Toys R Us in kids' lives.